We were invited to submit a self portrait of the studio for a publication produced by the AIGA. Originally printed 25 years ago, we were part of a new group of designers to be included in the second edition. Boy we had lots of ideas, but we ended up with this one: a cryptic gradient that represents each person in the studio. 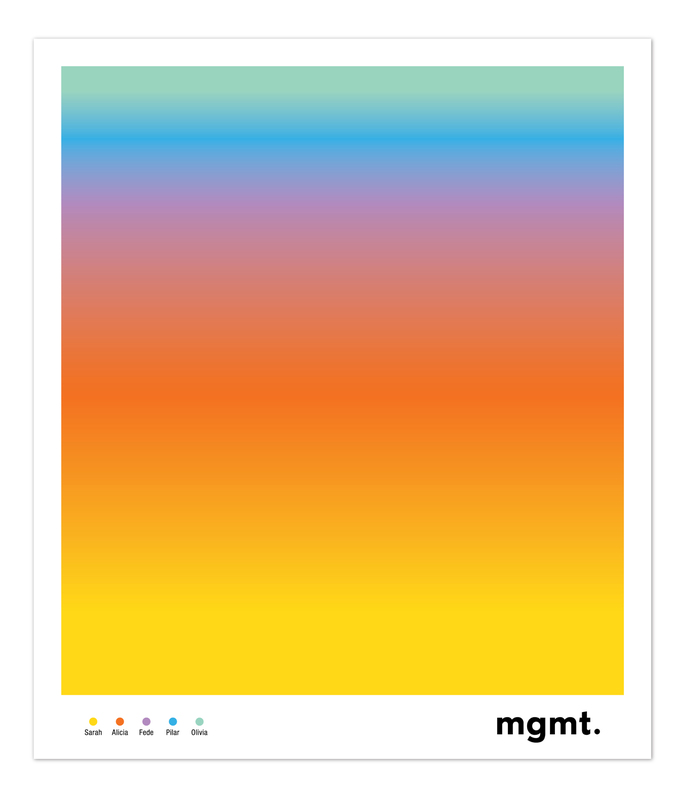 The color shift is based on the amount of time employed at MGMT. Doesn’t it look so...US?